There is no question that quality fencing adds value to a home, but before any decisions about which type of fencing would be best for a specific yard, there are several factors to be considered. While selecting the best fencing options can provide value, other choices may not deliver the desired results. Design elements, initial costs, and maintenance should all be carefully considered when selecting a fence. The best fencing choices will meet all the needs of the property owner without causing issues with neighbors. When discussing fence choices, it’s also important to determine if local regulations or property owners’ association regulations define what types of fencing can be installed. Materials are commonly regulated, as are fence heights, so checking for issues prior to installing any fence is strongly recommended. If permits are required, they must be obtained prior to any construction. Safety is always important when doing any digging in a yard. Most areas now require property owners to contact utility providers to determine the existence and location of any buried lines or pipes. Doing so prevents accidents that can cause injuries or disruptions of utility services. Homeowners are ultimately responsible for repair costs in most cases, so it’s very important to have location experts identify all lines on a property. The right types of fencing offer privacy. That means neighbors don’t always have to know what’s going on in a yard. Pool owners, for example, often construct taller fencing to provide a measure of privacy for swimmers and sunbathers. 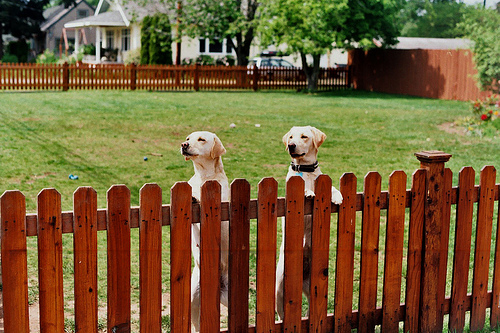 While many homeowners construct fencing to keep their pets confined, it’s just as important to keep other animals from entering the yard. Stray neighborhood dogs can, and do, injure pets frequently, resulting in high vet bills or even the loss of a beloved pet. While not all animals are deterred by fencing, most are. Watching children every minute they are outside is almost impossible. Caretakers have other obligations that force them to leave children alone for short periods of time. Even answering a phone or taking something out of the oven distracts a caretaker when watching children. Properly selected fencing makes sure children don’t have the opportunity to roam far when parents or sitters are momentarily distracted. Although wild animals are not always a big issue, even densely populated urban areas now see deer and coyotes frequently. Mountain lions are common in some regions, as are raccoons, opossums, and other wild animals. Fencing keeps many animals from invading yards, adding a measure of protection for occupants and valuable landscaping components. In many cases, fencing is selected for more esoteric reasons. Fencing adds another dimension to the site’s overall design characteristics. Fencing can add a great look to an existing property or serve to define a design element of the property. Of course, fencing used as a design element can also provide additional advantages as well. 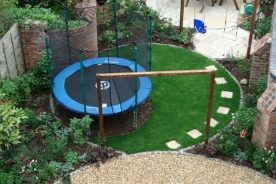 Once the purposes of fencing are clearly established, it becomes far easier to select the fencing materials that best meet the challenges involved in meeting those needs. Homeowners have a wide variety of fencing materials to select from. In the past, choices were somewhat limited but, today, the introduction of new products tends to make it possible for any homeowner to choose options including everything from basic wood products to space-age composite materials. Wood slat fencing provides a great many design possibilities. From dramatic contemporary designs to more traditional patterns, wood slat fencing options can easily meet the needs of many homeowners. Picket fences evoke thoughts of Tom Sawyer and paintings by artists like Norman Rockwell, but picket fences are still appropriate in many of today’s neighborhoods. 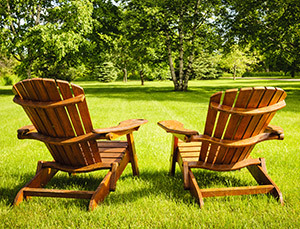 While typically used in neighborhoods featuring more traditional home styles, they may be appropriate is other settings. Chain link fencing is commonly used throughout the country, although it tends to be more utilitarian than decorative. It’s regarded as being rugged and able to withstand inclement weather without suffering any damage. Because it’s widely available in an assortment of heights, it is widely used in commercial settings as well as residential ones. Wrought iron fences have been used for many years, and are often associated with fine, older homes in nice neighborhoods. However, wrought iron fencing is seeing a resurgence in popularity with many newer designs blending well in a wide variety of residential settings. Brick or stone fences add a feeling of rugged quality to any home. Both brick and stone fencing can be creatively crafted to meet the design requirements of today’s homes. From country cottages to chic urban mansions, stone and brick are highly regarded as materials that will hold up well and look good for years with minimal maintenance. 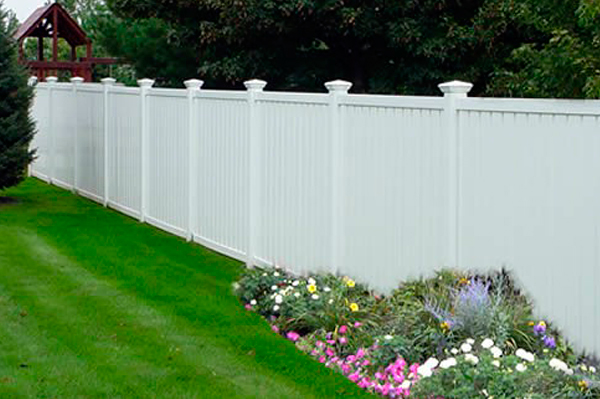 Vinyl fencing is a relatively new material. The newest iterations are far more tolerant of environmental conditions than early versions, and today’s vinyl fencing options offer a wider array of designs than were commonly available only a few years ago. Split rail fencing evokes memories of rustic country settings, but the style can easily be adapted to just about any setting. Suburban as well as urban homes commonly sport split rail fencing to set off landscaping elements or denote property lines. Natural fencing includes any living shrubs or other types of growth used to provide a barrier. 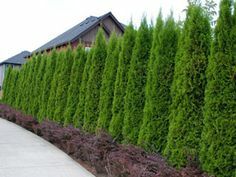 Hedges are commonly used throughout the country and can be just as effective at keeping out intruders and providing privacy as many other materials. Each of the fencing types has both pros and cons. Selecting the most appropriate fencing materials requires carefully considering not only the fence’s intended use, but other considerations as well. Installation issues must always be factored into any fencing material being considered. While every type of fencing has inherent issues, others force property owners and installers to carefully plan the installation. Brick and stone fencing, for example, create unique problems not faced by other fencing materials. Foundations must be poured to support these materials. In areas with unstable soils or severe weather conditions, those foundations may need to be quite deep. Discuss the potential for issues with an experienced installer before deciding to use brick or stone for fencing. 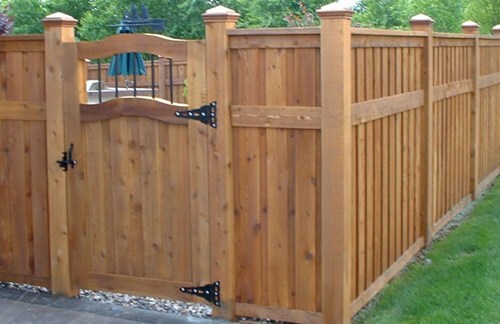 All types of wood fencing require some level of maintenance. Wood will, eventually, deteriorate in the best of circumstances. Left without maintenance, wood fencing is likely to deteriorate quite rapidly, especially in wet regions. The materials selected will determine the lifespan, but properly installed and maintained wood fences will last longer than fencing that’s not properly treated initially or during its life. 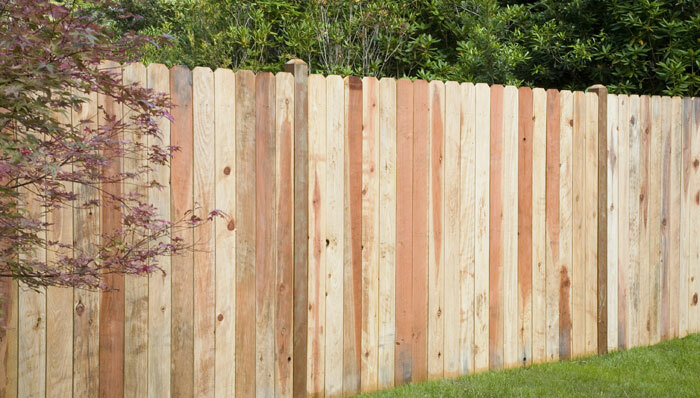 Wood fencing is relatively easy to install, but does require carpentry skills. Wrought iron fencing requires far less maintenance than its wooden counterparts, but some upkeep is still required. Rust is the enemy with this option, so repainting occasionally will be needed. Newer fencing varieties include aluminum rather than iron, which eliminates the rust concern, but aluminum also deteriorates under some conditions. When considering wrought iron as a fencing option, discuss local conditions with a fencing professional prior to making any decisions. This type of fencing is also unforgiving during installation, making it one of the more difficult options to install properly. Vinyl fencing is installed, to some degree, like wood fencing. 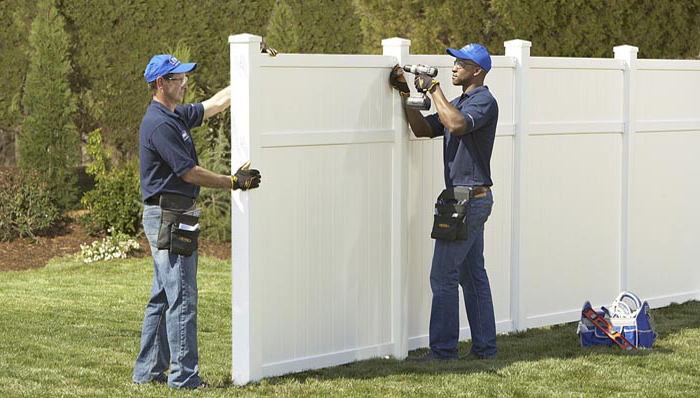 Most vinyl fencing products can be cut when necessary to fit tight spaces. The material must be handled with some care to prevent marring the surfaces. Natural fencing has unique installation issues. Since it will grow and spread, care must be taken to ensure that growth will not interfere with buried utilities or other landscaping features. Even when carefully trimmed, root growth can cause some issues, so ensure utilities will not be compromised prior to any planting. Natural fencing must also require fertilization and watering in some cases, so verify care requirements when selecting varieties. Cost considerations are also important. While homeowners tend to focus on initial expenses, it’s also important to factor ongoing maintenance costs into any discussions when selecting fencing materials. Cost comparisons must include the expense of all materials, labor, and maintenance to get a clear picture of any fencing project’s total costs. Potentially the costliest fencing option would be brick or stone. The materials are relatively expensive, but the greatest expense is likely to the labor involved. This type of fencing takes a great deal of time to properly install, suggesting it’s probably outside the price range of most homeowners. In some cases, homeowners use brick or stone elements at gateways or corners to provide the feel of stone or brick while not having the expense of using all stone or brick. Maintenance costs of a properly constructed stone or brick fence are, however, minimal. Wrought iron fencing also tends to be rather expensive, as the fence sections are generally custom sized to fit each home’s unique requirements. Final assembly on the site can be time-consuming, which boosts the costs considerably. Again, however, maintenance costs tend to be lower over the life of the fence than most other options. Wood fencing costs vary dramatically with the design and materials selected. Fencing using cedar or redwood will be quite high, but those woods will last longer than pine varieties commonly seen. Again, treatments at the time of construction will impact the cost and the life expectancy of wood fences. Highly intricate designs require a great deal of carpentry, which will also boost the initial costs significantly. Routine maintenance is an absolute necessity, and those costs contribute to the long-term expenses of all wood fencing. Chain link fencing is popular because of its relatively low initial cost and minimal maintenance requirements. The downside is the lack of aesthetic value garnered by installing chain link. Most people simply don’t like the look of this fencing even with privacy strips installed. However, the installation process is rather straightforward, which minimizes total costs. Vinyl fencing is, for many people, an ideal mix of reasonable cost and low maintenance. Recent improvements in composition keep the materials looking nicer longer and today’s color and style varieties far surpass those offered in the past. The installation is relatively simple, which keeps overall costs low. Maintenance is minimal, with an occasional cleaning being the only real requirement. Other factors to consider when selecting fencing include the topography and the area’s climate. In very wet areas, wood might not be the best option. Uneven surfaces dramatically increase the difficulty level of any installation, so it’s never a good idea to look at average installation pricing and assume that cost figure would be accurate. Reviewing all the factors with a fencing professional will provide a better insight into the installation process. Whenever a fencing project is being considered, it pays to look closely at the types of fencing already in the area to determine if the fencing options being explored will complement any existing fencing or clash with what’s already installed. Maintaining peace in the neighborhood is important, and fencing choices can impact property values throughout the area. It bears repeating because permits tend to create a lot of problems. In most populated areas, and even some rural areas, permits are required before any fencing can be installed. The materials must meet building code requirements and inspections may be mandatory. If there are any questions over permitting, it pays to consult local building authorities early in the planning process for advice. Where local neighborhood covenants are in place, those can also impact what types of fencing will be allowed. It never pays to proceed without checking all regulations first. Exploring all the fencing options available is always a good idea even if one option initially appears to be better than others. Once all the material, labor, and maintenance costs are analyzed, it’s far easier to make a truly informed decision. Fencing adds value and can serve a variety of purposes when carefully chosen and properly installed. We don’t have a fence in our backyard, and I always thought that it would be nice to have one. I really like the sound of the wrought iron fence, because it makes your house feel like it’s in a nice neighborhood. I also really like that it takes less to maintain it properly. I had no idea that the prices varied so much between all of the different types of fences. I have some friends looking for residential fences and now I understand why they have taken a few weeks to consider all of their options. I’ll be sure to send them your article so they can get some guidance on fences. My husband and I are considering putting a fence in our backyard to add some privacy, so I appreciate this information. I like how you point out that picket fences can be a good option because they have the classic look and feel to them. 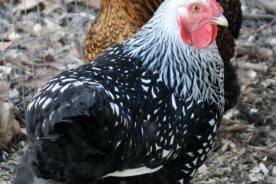 We have decided that it would be our most beneficial option to hire someone to take care of it. This is because we want it to be very sturdy and last a long time. We’ll make sure we check online to find reviews for the best companies. I like that you mentioned that vinyl fencing offers a wide variety of designs. 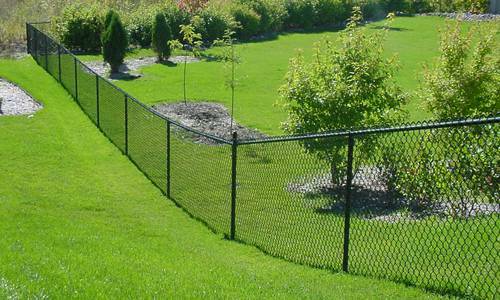 If I was going to get a fence around my yard then I would want to know which is the best for the environmental conditions. I think that if you are getting a fence then you might want to find out which is best for you. Since there is such a wide variety of fencing materials and designs for homeowners to choose from it allows people to personalize their yards more. Doing your research before you start picking out designs and materials into what type of fence would suit you best, such as looking into what type of material and design would help you protect your yard and last longer, would probably be very useful. While I’ve seen many different fence designs that I like, I’ve always been partial to slatted fences, especially since they seem like an excellent way to keep pets and children in your yard. You wrote that chain link fences are great because they are considered rugged due to their ability to withstand inclement weather, and also come in an assortment of heights. My mother has been wanting to get a fence installed, so that she can let her grand-kids play in the backyard without having to worry about them. I’ll advise she choose chain link, as she wouldn’t have to worry about storms ruining the fence, and she could simply enjoy it’s benefits worry free. It is right that there are a number of things to consider if you want to fence your house. For me the one thing I always consider is the price. I think you can have the best fences if you have the right budget. The designs will follow and anything else. But if you really are creative, there are numerous ways to have a fence in a cheaper price. 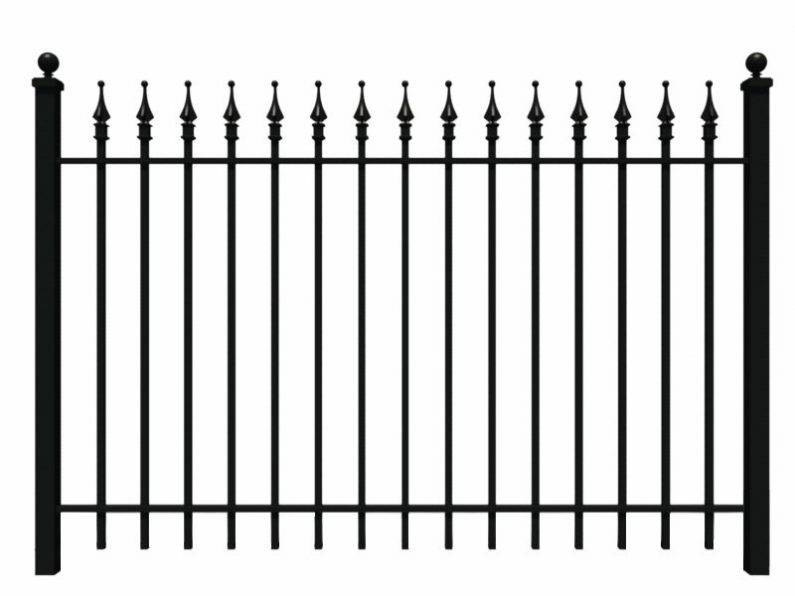 It’s good to know that wrought iron fences tend to be easier to maintain than other fences. It’s important that you feel like your fence provides you with the level of security you need as well as improve the look of your home. I feel like a wrought iron fence is a good way to secure both of those things for you. Plus, like you said, they are fairly customizable to fit your home. That’s a good point that fencing can dissuade animals from entering your yard. You wouldn’t a rambunctious neighbouring pup just randomly accessing your property. The fence could have dual function, too; my dog is very energetic and a fence could define an outdoor space that she could be safe running around in. 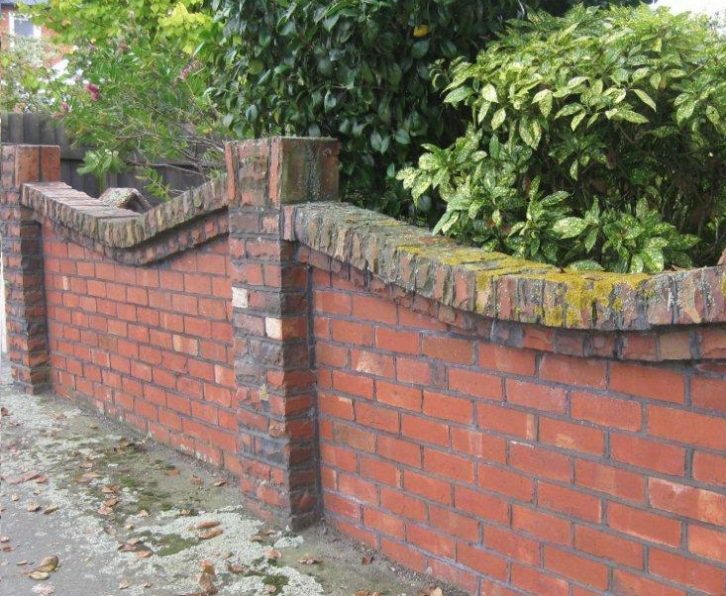 It’s good to know that brick requires very minimal maintenance as a fence material. How well does it do as far as adding any sort of value to a property? I’d be curious to know since I’ve been considering having a brick fence built around my yard. My wife and I have been thinking about installing a new fence in the backyard but aren’t sold on a design yet. I really like the look of the vinyl fencing and like that you mention how it allows for flexible design choices. We’ll have to keep an eye out of different designs that would look good in the yard. Thanks for the help! I didn’t realize how important it is to choose a custom fence that keeps animals from entering your yard that could injure your pets. My sister just moved into a new home that has an unfinished yard. Hopefully, this info will help her choose a fence that will protect her husky from other animals in the area. Safety should be the first thing to keep in mind. For example, brush fences are known to be a major fire hazard when built too close to the houses. 3 meteres away from the house is what you need to remember if you’re installing brush fencing. My husband wants to put up a fence to delineate our property line. I like that you talked about how wrought iron fences can blend well with various different styles of houses. An iron fence would mark our property without being too hard on the eye. Maybe we should contact a contractor about having one installed. My fiance and I are trying to pick some dog fencing that will work best with our puppy Boomer. We will keep in mind as we look the importance of not only keeping Boomer in but other animals out. Our dog’s safety is very important to me and my fiance. Thanks for talking about how vinyl needs to be handled carefully during installation so the surface isn’t damaged. I want to get a fence so I don’t have to hear or see my new neighbors that started building in the lot next to mine. I like the look of the vinyl, so maybe I should find a fencing company that can install it carefully. I like how you said that understanding a fence’s purpose makes it a lot easier to determine what type of fence you would like. My wife wants a fence that has good curb appeal and matches our home. Knowing that aesthetics is our main goal seems like it would definitely help us determine what material and style to look for like you said. My wife and I need to build a fence in our backyard for the dogs soon, so thanks for sharing this. I like your point about choosing a fence that can also keep other pets out. We’ll be sure to make it high enough that no animals can get over it.